ScienceDaily (Oct. 27, 2005) — Exposure to X-rays and gamma rays, even at low-dose levels, increases risk of cancer. That is the bottom line of a comprehensive five-year study by a National Research Council (NRC) committee that included Stanford’s Herbert L. Abrams, a member of the Institute of Medicine of the National Academy of Sciences. For Abrams, completion of BEIR VII adds to an already distinguished career. The director of diagnostic radiology at Stanford in the 1960s, Abrams was the Philip H. Cook Professor and Chairman of Radiology at Harvard Medical School for 18 years before returning Stanford in 1985 to join the Radiology Department and CISAC. He was a founder of International Physicians for the Prevention of Nuclear War, which received the 1985 Nobel Peace Prize. 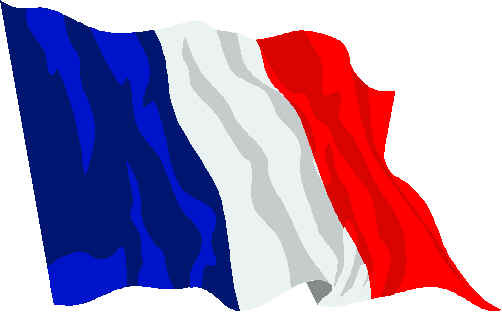 This new French carbon tax was scheduled to go into law on Jan1, 2010. The tax was steep: 17 euros per ton of carbon dioxide (USD $24.40). In a stunning move, and surely a blow to warmists everywhere, the tax has been found unconstitutional and thrown out. Originally found here (Google Translation). In France, if at least 60 Deputies of the House and 60 Senators appeal to the Constitutional Council, it has the power to pronounce on the constitutionality of a proposed law – in the present case, the 2010 national budget of France, which contained enabling provisions (loi deferee) for a carbon levy. The Council found that these enabling provisions were unconstitutional on two grounds: that the exemptions contained within the provisions for a carbon levy vitiated the primary declared purpose of the levy, to combat carbon emissions and hence “global warming”; and that the exemptions would cause the levy to fall disproportionately on gasoline and heating oils and not on other carbon emissions, thereby breaching the principle that taxation should be evenly and fairly borne. Here’s a Deustch-Welle news article on the reversal. France’s Constitutional Council says the country’s proposed carbon tax is illegal. This is a severe blow to French President Nicolas Sarkozy’s plans to fight climate change. France’s Constitutional Council has struck down a carbon tax that was planned to take effect on January 1st. The council, which ensures the constitutionality of French legislation, said too many polluters were exempted in the measure and the tax burden was not fairly distributed. It was estimated that 93 percent of industrial emissions outside of fuel use, including the emissions of more than 1,000 of France’s top polluting industrial sites, would be exempt from the tax, which would have charged 17 euros per ton of emitted carbon dioxide. French President Nicolas Sarkozy has argued the tax is necessary to combat climate change and reduce the country’s dependence on oil. However, the council’s ruling is a severe blow to both Sarkozy’s environmental plan as well as France’s budget for 2010. The government now has to find a way to come up with about 4.1 billion euros in revenue that was expected from the tax. The reaction to the failed “terrorist attack” eventually may lead to this state of affairs. Ironically, the Nigerian bomber was allowed on the plane without a passport! Although shabby in appearance, he was accompanied by a man, presumably an Intelligence agent, who was well dressed. In a Globe and Mail Poll Monday, over 2/3 said the current security measures were an overreaction. Then, recently for over a week, we were bombarded with hysteria about weather change (aka “climate change.”) The Club of Rome concocted this bogeyman back in the 1980’s. It’s been a good decade for the Illuminati. Society is far more fearful and pessimistic, far more willing to accept totalitarian control. Harold Rosenthal who was a member of this cabal boasted that they even implanted a “guilt complex” over the holocaust and anti-Semitism that prevents society from addressing the threat. The Illuminati central banking cartel controls government credit, media, banking, corporations, education, professional associations, justice, military ..you name it. They use Freemasonry as their instrument. Recently, I posted an article about how they control the US Black community using the Masonic “Boule.” The same principle applies everywhere. Society operates on two rails. The formal–the image of a democracy ruled by law that dupes the masses and ensures their cooperation. The informal– the Illuminati club, which actually makes the decisions regardless of what’s happening on the formal level. The informal infiltrates the formal until the latter is merely a mask for the former. Want to succeed? Join the club of secret Satan worshipers. That’s what Barack Obama did. I don’t know if this is true but it is plausible. When I was a sixties radical, we used to think people who worked for the Establishment had sold their soul to the devil. I didn’t imagine it was literally true, as the Illuminati are Satan worshippers, so you’re unwittingly working for his disciples.